Our Puppy Program grew one size larger today... Meet, Frank! This adorable little guy is only eleven weeks old, weighs a whole of three pounds, and is a Cavapoo. Frank is new to dog socializing since he's so young. This was his first time being around lots of dogs at once, he did great! His tail was wagging and he was greeting everyone with perfect Dog Speak. He even got brave, and explored our tire swing a bit... Check him out! We look forward to watching this guy grow, and gain more confidence as he starts coming here more often. Have a good day and try to stay cool! Here are some clips of this week's action. 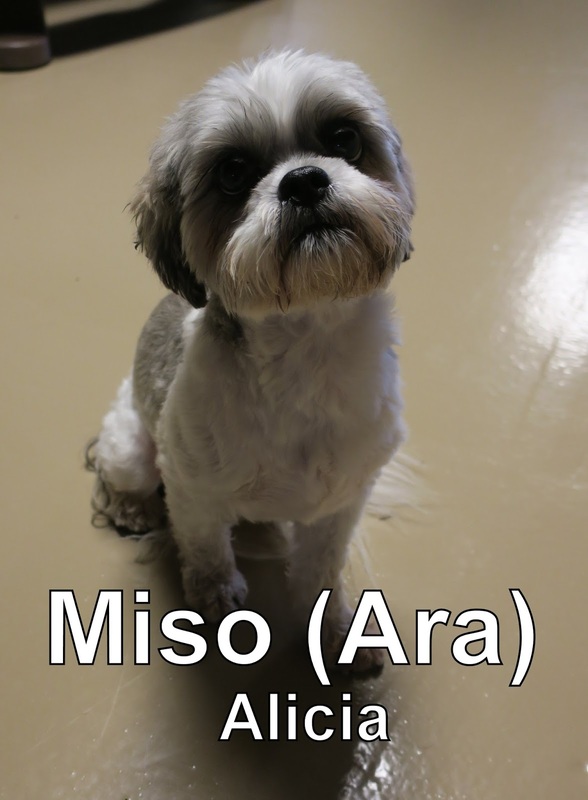 In this first clip Pasha, Charlie, and Orion, are playing fetch upstairs in our Small Dog Program. Paddington started attending the Fort two-weeks ago, and is already best friends with Charlie. Here is another clip of Paddington and Charlie, this time Pearl and Tobin decided to join in. 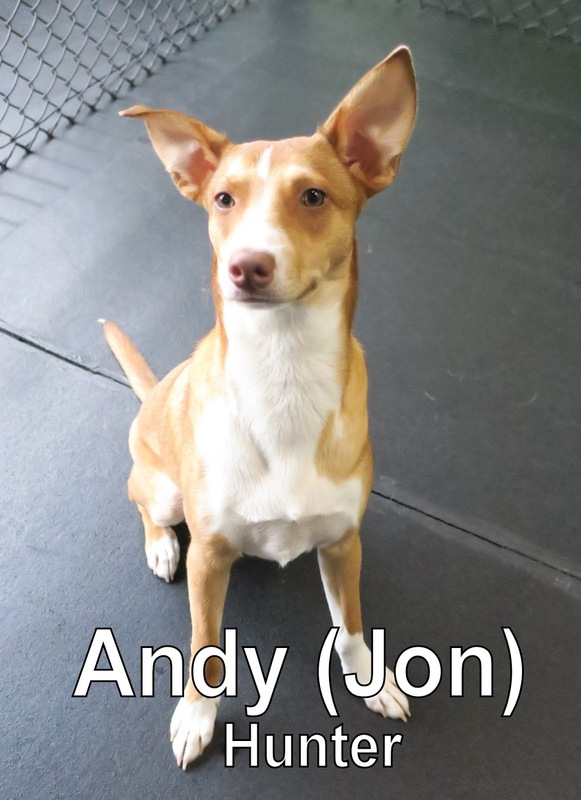 Last but not least Andy & Finn are having a great time playing in our Medium Dog Program. You've probably seen this photo pop up on the internet here and there; it's a Tibetan Mastiff. Which is on the list of one of The World's largest Dog Breeds... Don't let this photo fool you though! This giant breed is much more loving and caring then you'd think. Even if they look a little intimidating! 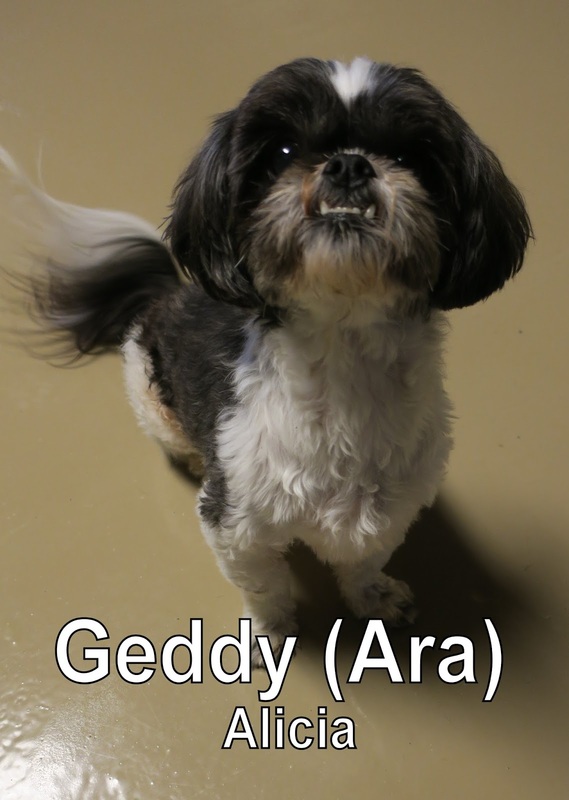 Originally, this breed was meant to be a great Guardian Dog in Tibet- and protect the people that lived in the Himalayan Mountains, and plains of Central Asia. Tibetan Mastiffs were so well protected, that there isn't any accurate records of the exact genetic history of this breed. Today, in Tibet and other Himalayan regions, a pure Tibetan Mastiff is hard to find. They generally live at an altitude of 16,000 feet. Tibetan Mastiffs are generally a pretty quiet breed, unless they're left outside overnight. Since they've played the role of being a "protector" for so long, being a guardian of family and children are drilled deep into their genes; sometimes its hard for them to help themselves. If you don't want your Tibetan Mastiff waking you up in the wee hours of the morning, don't leave them outside. Yes, this breed is a great protector and friendly/loving addition to anyone's house, but they aren't for everyone. Tibetan's need to burn lots of energy every day, in order to stay sane. They can become protective and overly possessive over their human family if they aren't trained properly. Do your research and ask around before you consider bringing one of these guys home. You really have to know your dog psychology. Tibetan's need someone who is a confident trainer who is consistent and firm, but also loving. These guys are very strong willed and love to test whether you really mean what you say. This is definitely a breed I wouldn't suggest getting, if you're a first time dog owner. If you do decide you want a Tibetan Mastiff, be mindful... You're cute little teddy bear puppy will soon grow into a seventy five, to one hundred and sixty pound dog. Sorry apartment livers; this may not be the right match for you! Not only is this dog one of the largest breeds around, its also the most expensive! Have you ever heard of the iconic Tibetan Mastiff named Big Splash? That dog sold for about two MILLION dollars. Tibetan Mastiffs have become a very popular breed to own if you live in China, and are pretty wealthy. They treat them like any other status symbol. I hope you learned a thing or two about this ancient, well protected breed. Who would have known someone would be willing to pay a couple million dollars just for a canine companion! Yesterday, we had the pleasure of meeting Elliot. 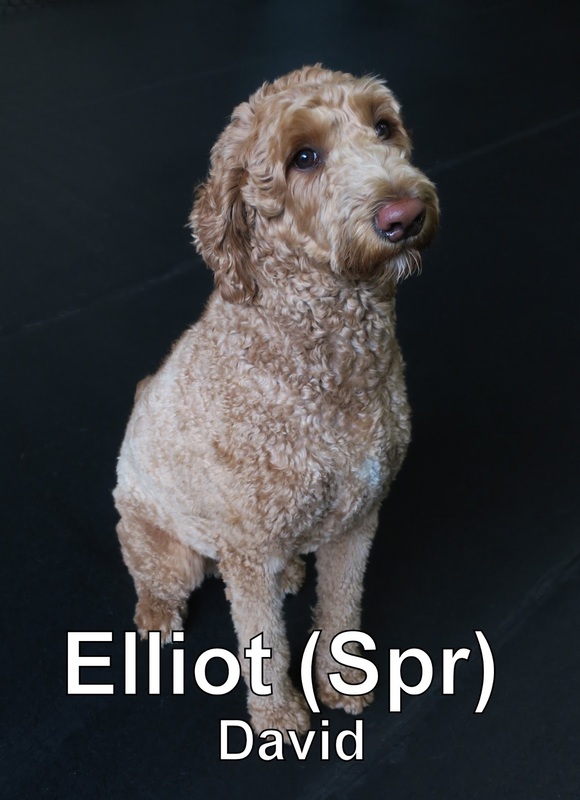 He is a three-year-old, sixty-six-pound, Goldendoodle. 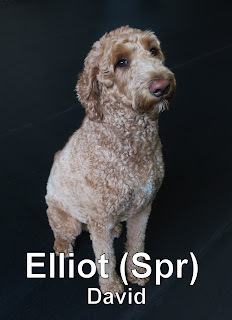 Elliot spent the day hanging out with the dogs in our Large Dog Program. He "speaks" good dog, and is very well balanced. He will be a great addition to the Fort. Good job, Elliot! This morning we welcomed Finn to the Fort. He is a seven-month-old, forty-pound, Blue Heeler/Lab mix. 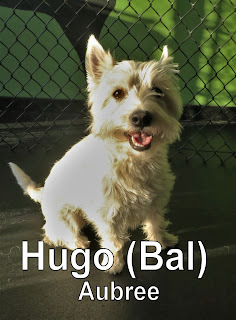 He joined our Medium Dog Program and enjoyed mingling with the other dogs. He is welcome back anytime. We look forward to seeing him again soon. 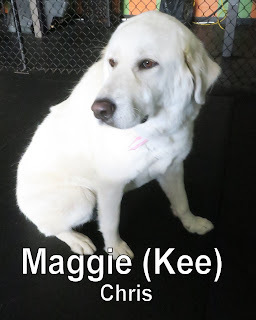 Maggie also came in bright and early this morning. She is a four-year-old, one hundred ten pound, Great Pyrenees. 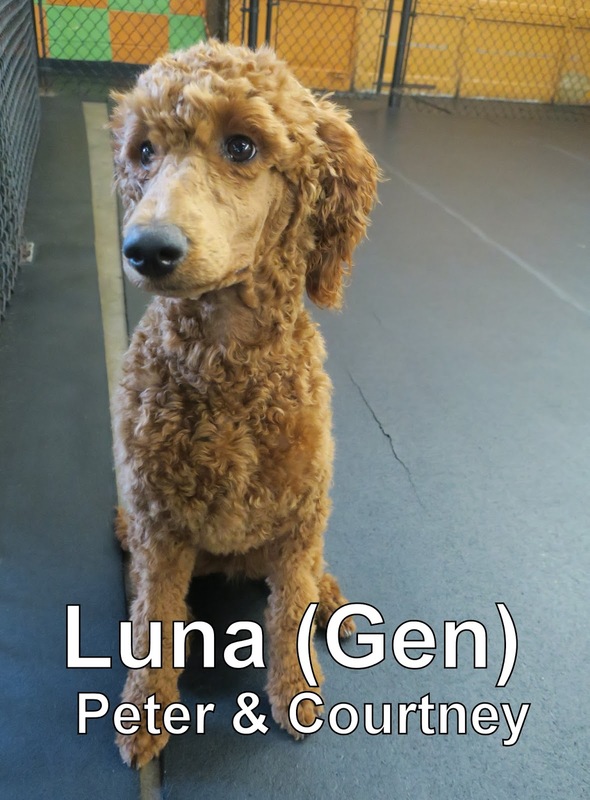 She joined our Large Dog Program where she enjoyed spending time with the other dogs. We hope to see her again soon. Missy joined the Medium Dog Program here at the Fort yesterday. 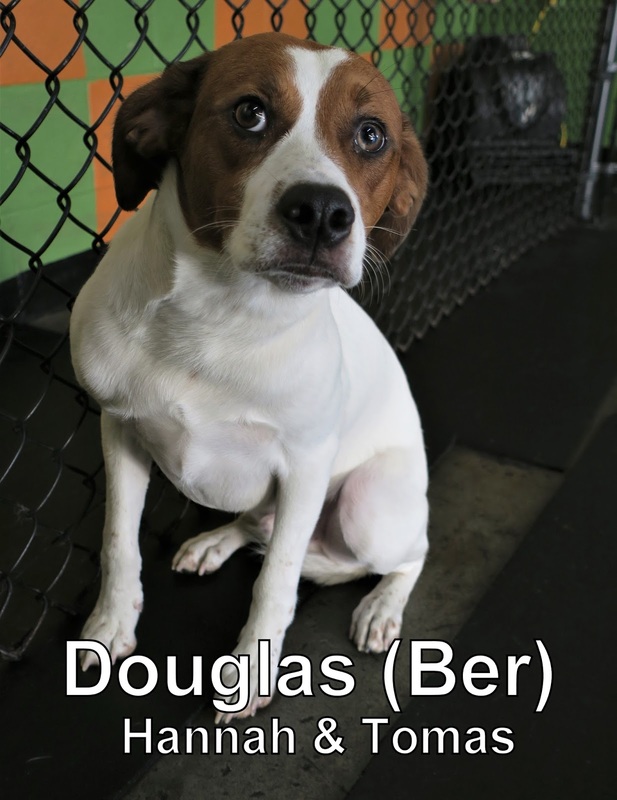 She is three-year-old, thirty-six-pound, English Springer Spaniel. 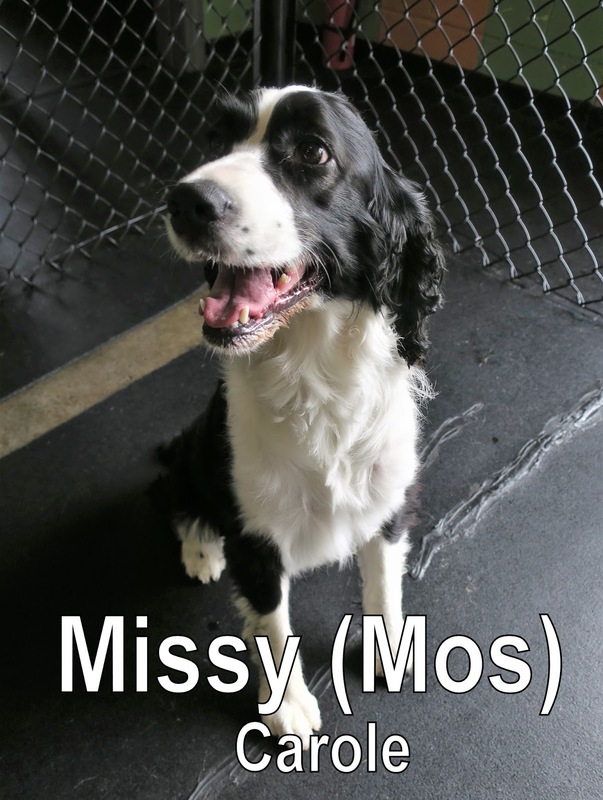 Missy is very energetic and loved hanging out and playing with the other dogs. She passed her assessment with flying colors. 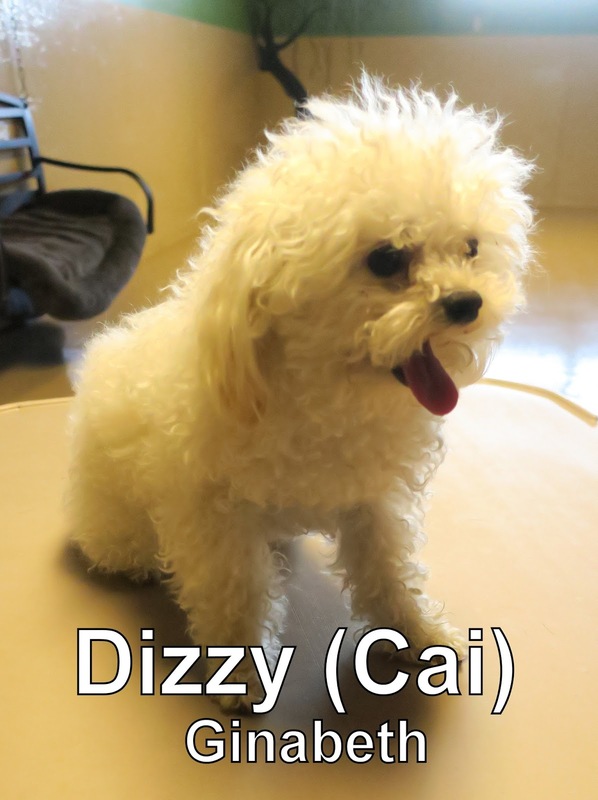 This bright and spunky dog is who we welcomed through our doors this a.m.! 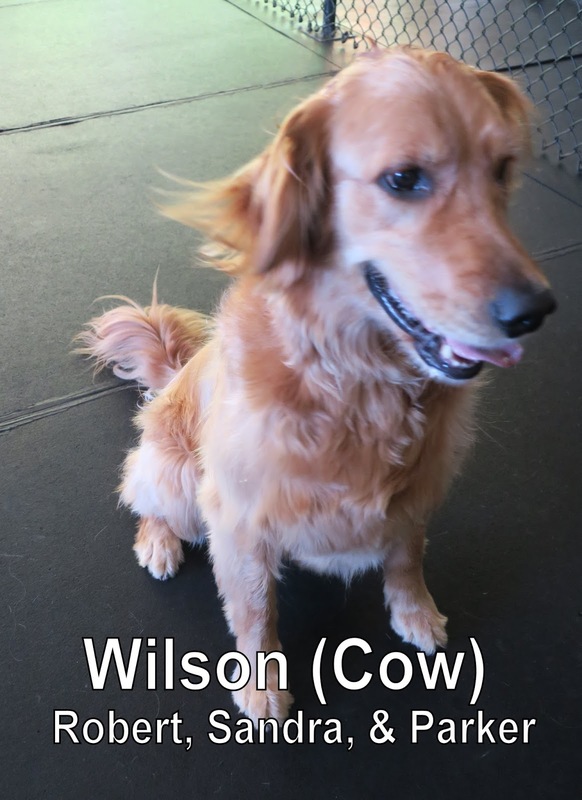 Wilson is a three in a half year old Golden Retriever that weighs seventy pounds. Wilson joined our Large Dog Program and fit in like he's been a part of this place for years. He did lots of exploring, sniffing, and getting to know the other dogs... Diego is another retriever who looks almost identical to Wilson, and that's who he took to and played with for most of the morning. We hope to see him return soon! Callie is an insanely gorgeous white/tan German Shepherd that joined our Large Dog Program this morning. She's ten months old and full of curiosity... Callie came in here a tad bit shy but that slowly went away as she started to meet the other dogs; sniffing butts and wandering around her new play area. It was great to see that Dog Speak. 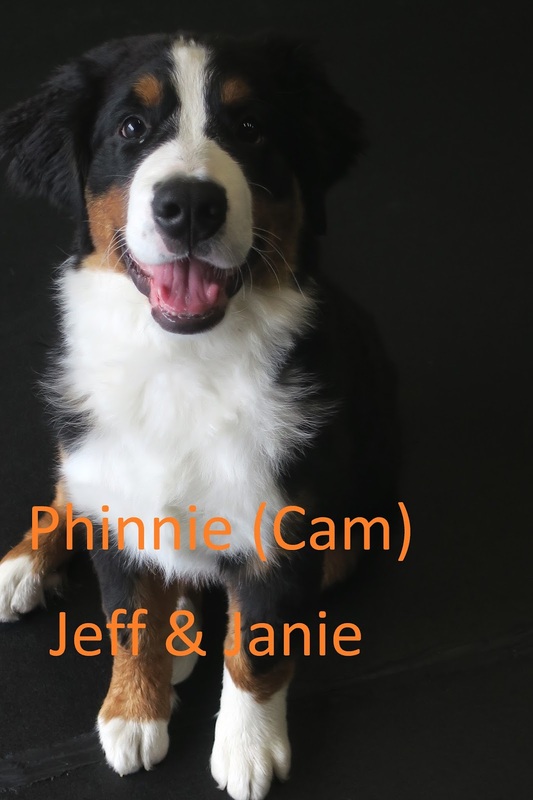 We look forward to getting to know Callie more- as she starts coming here to get socialization with other members of her kind. Andy came into the Fort for his assessment bright and early yesterday morning. 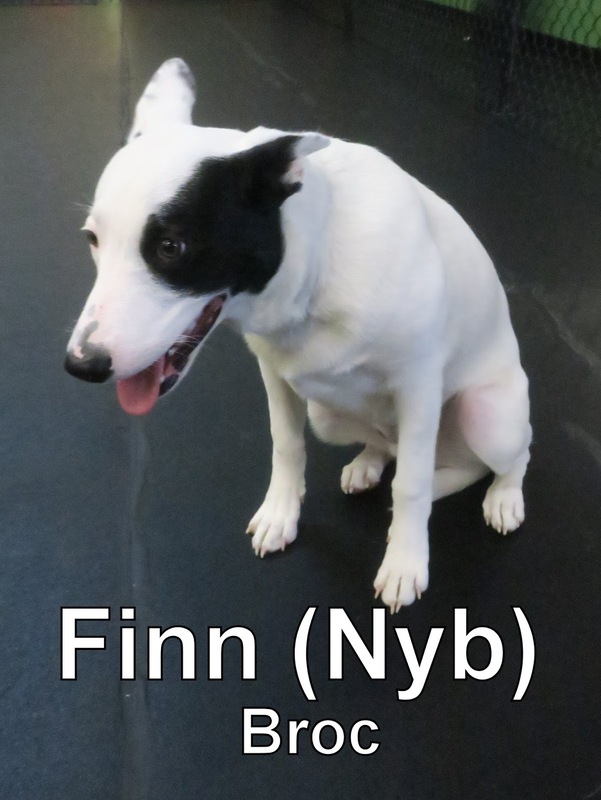 He is seven-month-old, twenty-eight-pound, Welsh Corgi mix. He "spoke" good dog and had a lot of fun getting to know the other dogs in our Medium Dog Program. Andy really enjoyed playing with Frankie & Fonzie. He is welcome back anytime. We look forward to seeing him again soon. 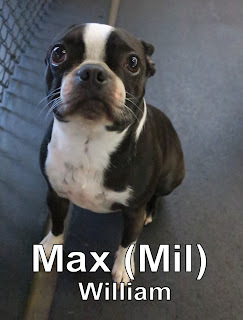 Max came in for his assessment this morning. He is a five-year-old, seventeen-pound, Boston Terrier. Max was very curious, and sniffed everything on his way back to our Medium Dog Program. He had a great time hanging out with the other dogs, and got into to a little bit of play. He passed his assessment with flying colors, and will be a great addition to our Medium Dog Program. Last but not least, we have Paddington. He also joined the Fort this morning. 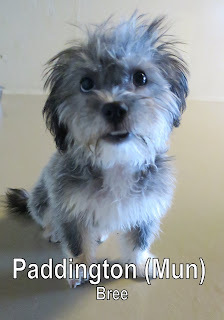 Paddington is an adorable five-month-old, seven-pound, Havapoo (Havanese x Poodle). He joined our Small Dog Program, where he enjoyed mingling with the other dogs. Paddington is welcome back anytime. We hope to see him soon. 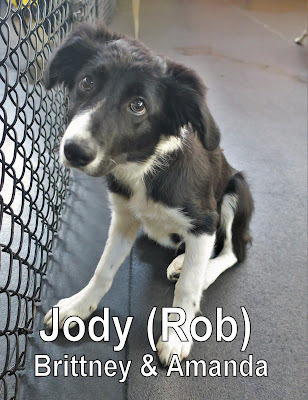 Check out Jody! He's a Border Collie that joined our Medium Dog Program bright and early this morning. Jody's only three months old and weighs twenty three pounds. This young pup was very curious when he first trotted through our doors; I enjoyed watching him as he started to make some friends. See? This video proves how comfortable this guy is, surrounded by his own kind. Jody is a very friendly dog and I look forward to seeing him return again.